Prized by the an cient Egyptians as the gemstone of the sun, peridot has been credited with a host of healing and magical powers. A guard against the evil eye, peridot was thought to sweeten dreams and reveal insights. August’s birthstone, peridot is also recognized as the preferred gift for the 16th wedding anniversary. Historically, peridot was believed to bring happiness, to attract love and foster friendship. 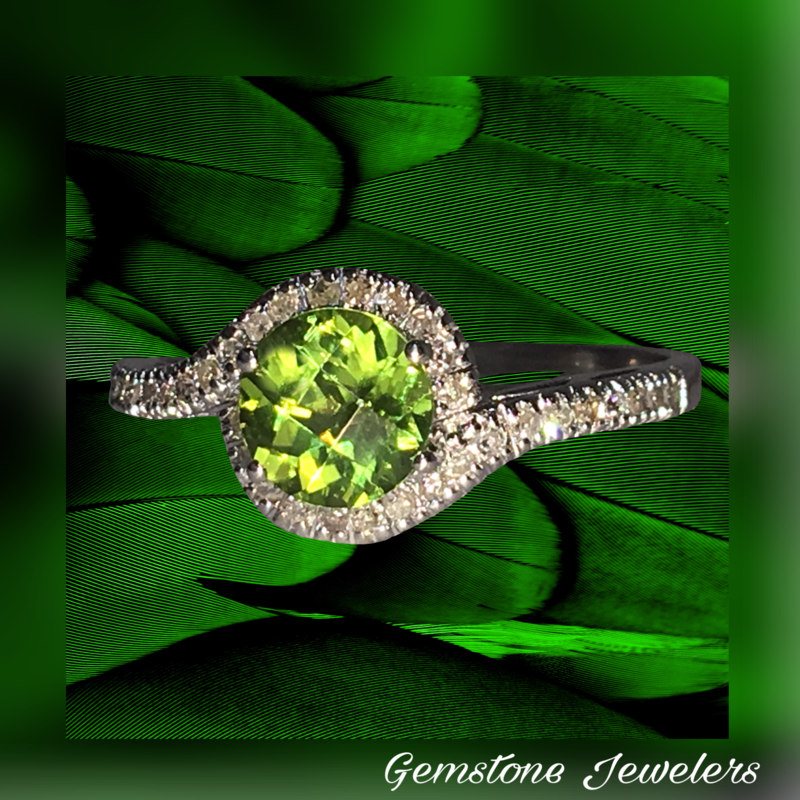 The gem of bliss and good fortune, peridot illuminates the sunny disposition of those who wear it. 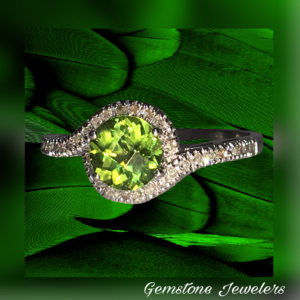 Formed in volcanos, peridot ranges in color from yellowish green to deep olive. While its color can be exceptional, it will never reach the shade of green or intensity of emerald. 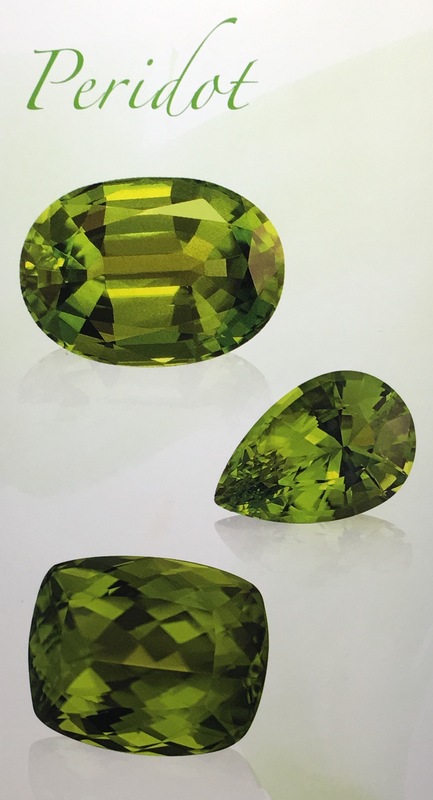 The finest peridot is green with no tinge of yellow or brown. Peridot comes in a variety of shapes and small sizes, but larger gemstones, especially in flawless quality, are difficult to find. Believed to burn with an inextinguishable internal fire, ruby has historically signified great passion. 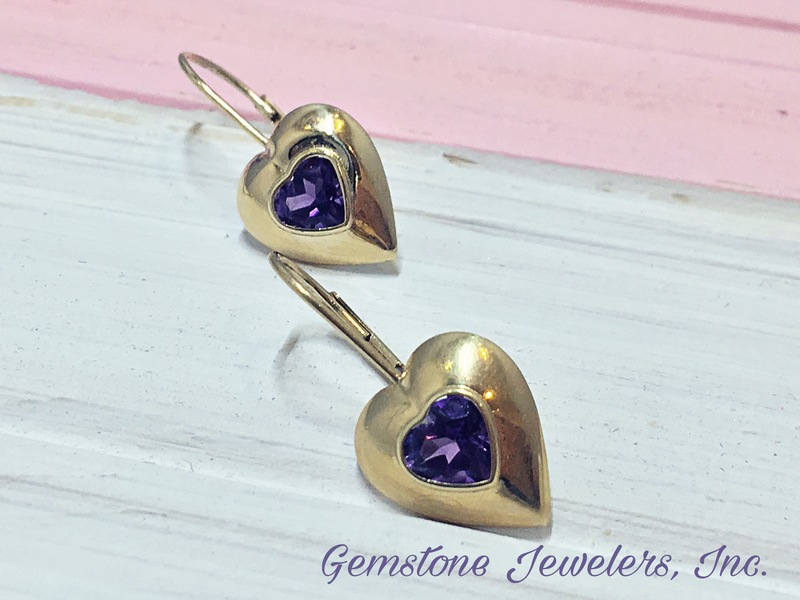 This fiery red gemstone -the color of the heart- has always been associated with deep love. Also the color of blood, ruby signifies great courage. Ruby’s durability and hardness make it an ideal gemstone for all types of jewelry, especially rings. 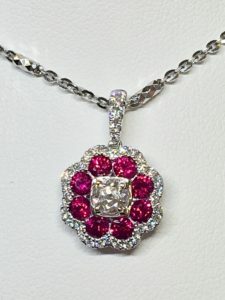 July’s birthstone, ruby is also recognized as the traditional gift for 15th and 40th wedding anniversaries. 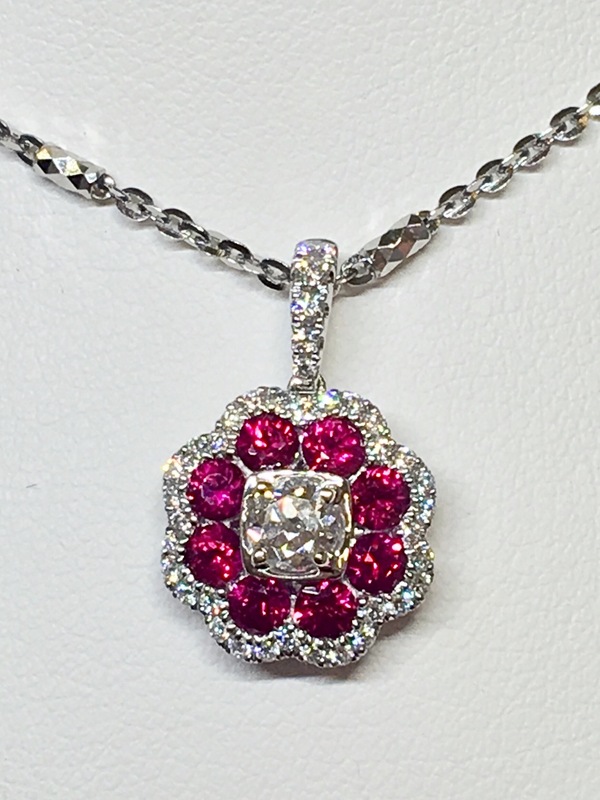 Historically ruby was believed to attract and maintain love. Ruby is a popular gemstone choice for brides who want to express their individuality. Ruby is recognized as a talisman to ensure harmony, guard against sorrow, inspire confidence and bring great success. 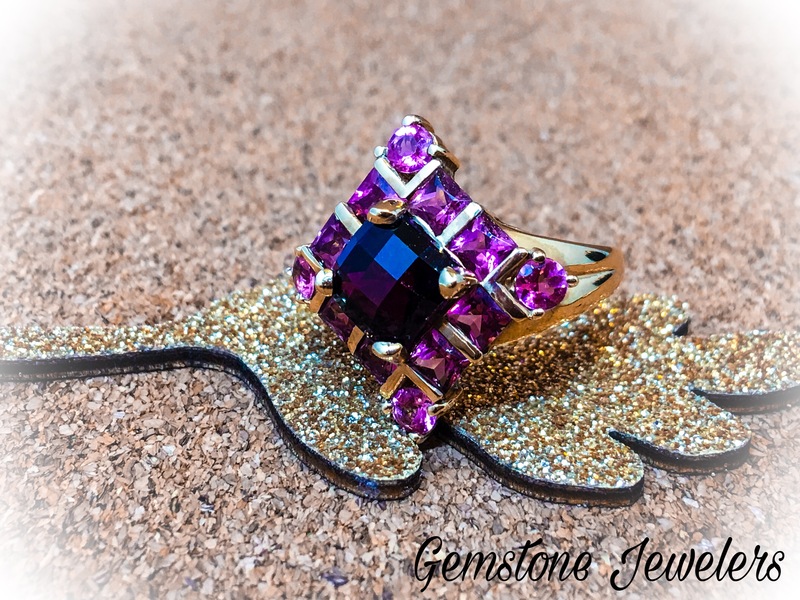 The gem of gusto, ruby brings light to the electrifying personality of those who wear it. 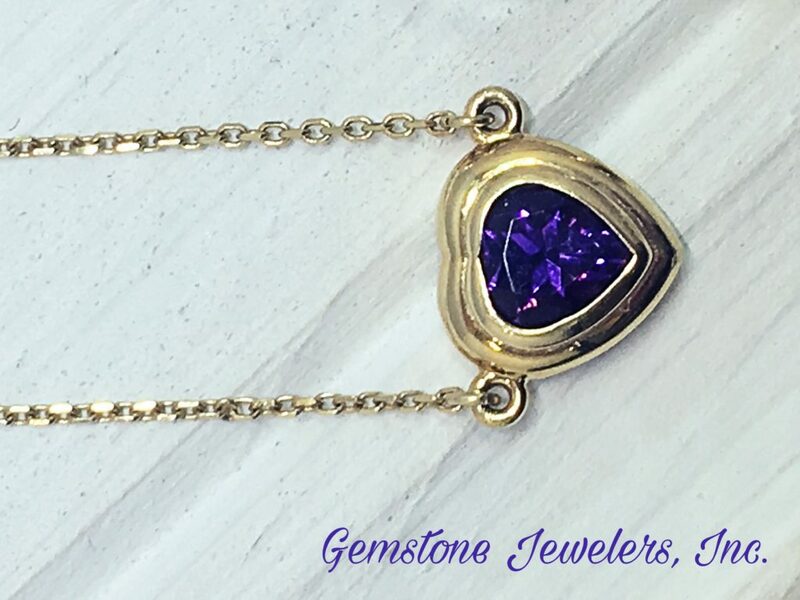 With the name derived from the Latin ruber meaning red, the corundum family gem, sister to sapphire, only comes in one color. But, the shades of in which it comes vary from purplish and bluish red to orangey red in medium to dark tones. Color is key when considering value. Prized colors are pure red with no overtones for brown or blue. Better qualities are usually free of inclusions. Ruby in sizes over 2 carats is rare. In its finest quality, any size is rare. Rubies are routinely enhanced by traditional hearing methods to produce, intensify or lighten color and/or improve clarity. To clean ruby, use soapy water or commercial solvent and a brush. Mechanical cleaners are generally safe. 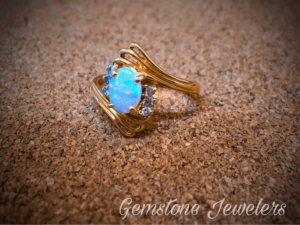 Posted in Birthstone | Comments Off on Ruby July’s Desire! 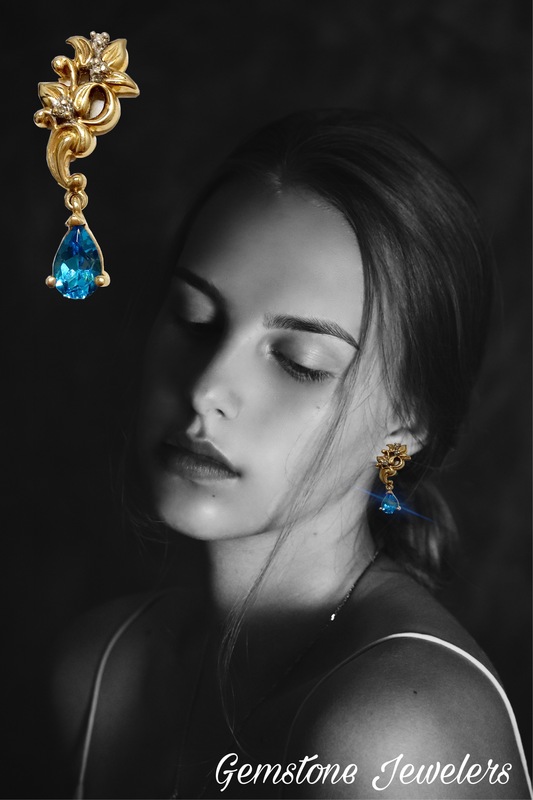 The serenely colored aquamarine invokes the tranquility of its namesake, the sea. In fact, the name aquamarine is derived from the Latin word aqua, meaning water, and marina, meaning the sea. 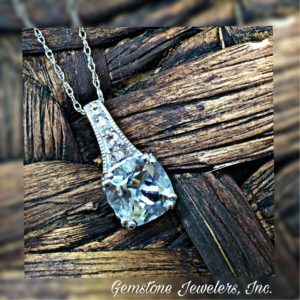 Aquamarine is most often light in tone and ranges from greenish blue to blue-green; the color usually is more intense in larger stones, and darker blue stones are very valuable. This gemstone is mined mainly in Brazil, but also is found in Nigeria, Madagascar, Zambia, Pakistan, and Mozambique. Like emeralds, this gemstone is actually a variety of a mineral called beryl. Large stones have been found all over the world, including one stone found in Brazil that weighed over 240 pounds. Aquamarine grows in large, six-sided crystals that can be up to a foot long, making it a great gem to be cut and polished in larger carats for statement pieces. 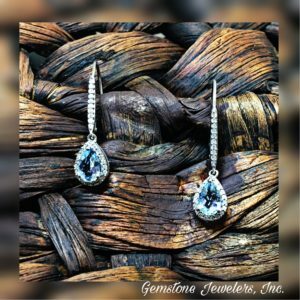 December’s b irthstones offer three ways to fight the winter blues: tanzanite, zircon and turquoise – all of them, appropriately, best known for beautiful shades of blue. 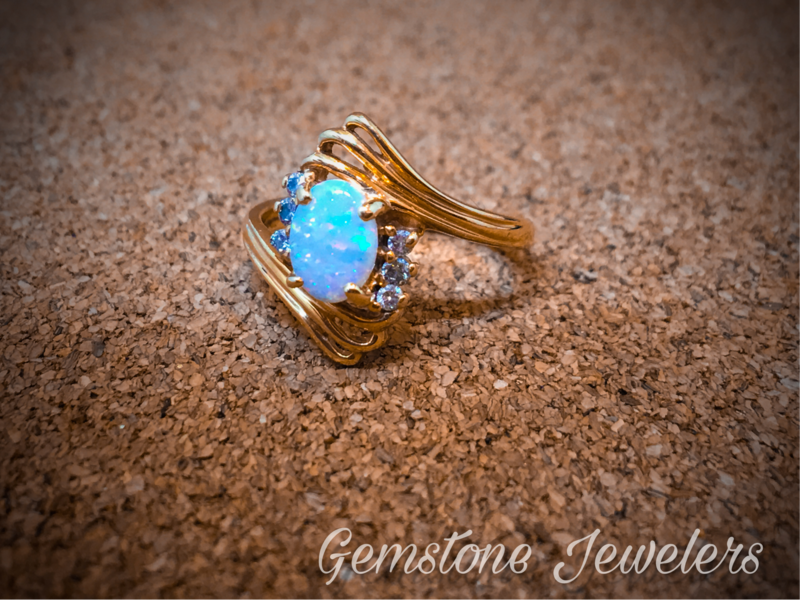 All of these stones are relatively inexpensive, but their beauty rivals even precious gems. 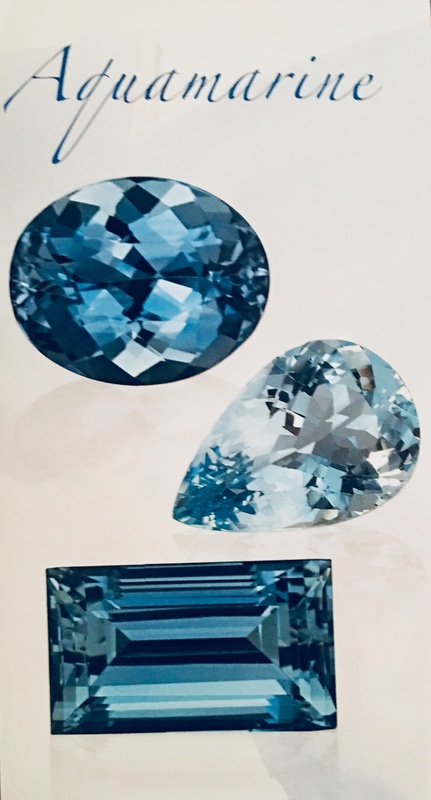 Colorless zircon is a convincing replace ment for diamond, tanzanite often substitutes sapphire, and turquoise is unmatched in its hue of robin’s egg blue. 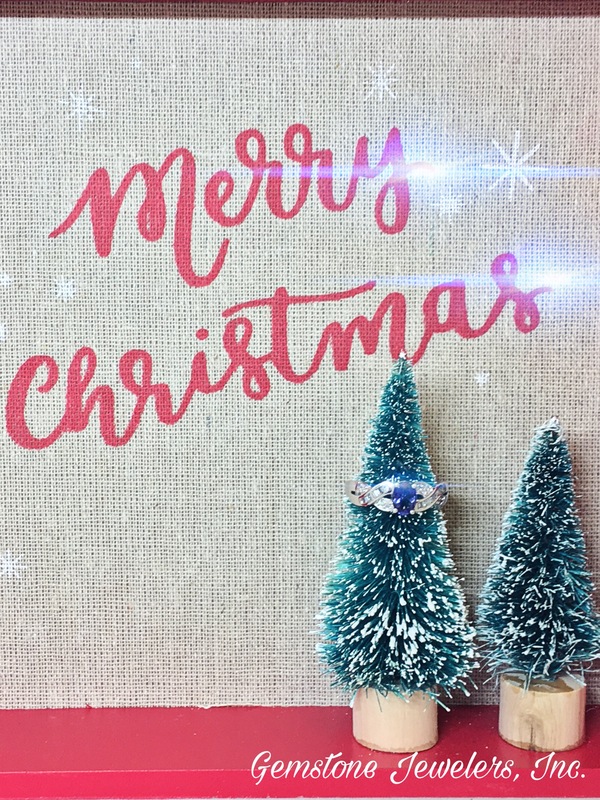 Posted in Birthstone | Comments Off on Tanzanite, Turquoise, and Zircon for a December Birthday! 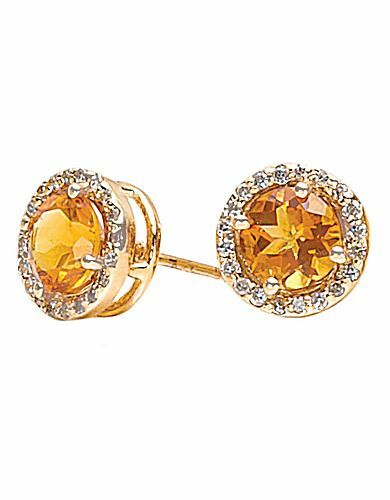 Posted in Birthstone | Comments Off on Citrine and Topaz Decorate November Birthdays! Beautiful Opals and Tourmaline for October! For centuries tourmalines have adorned the jewels of royalty. The Empress Dowager Tz’u Hsi, the last empress of China, valued the rich pink colors above all other gemstones. 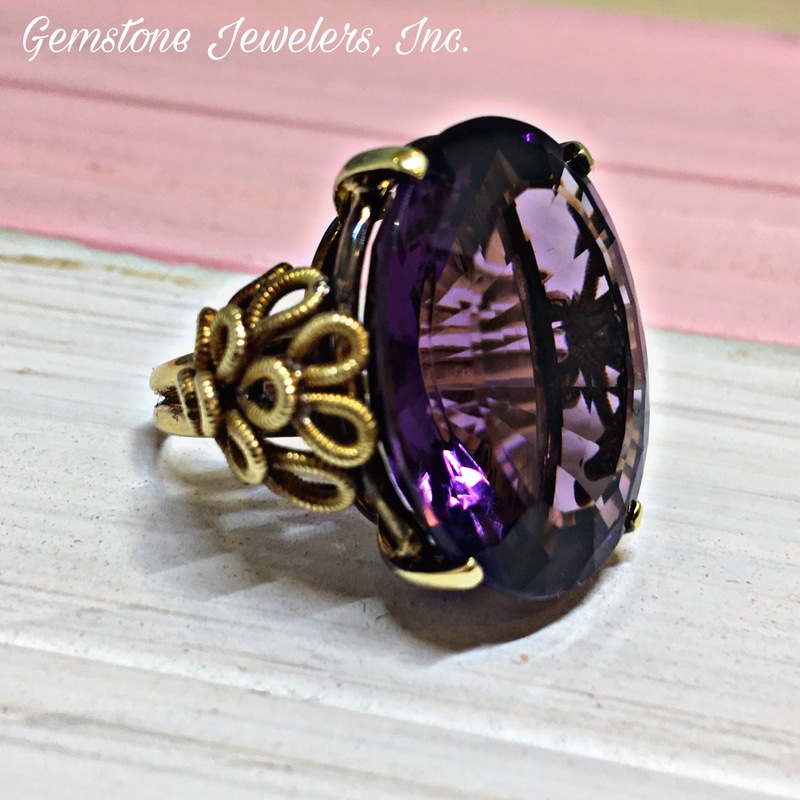 The people of ancient Ceylon called tourmaline “turmali,” the Sinhalese word for “more colors.” Perhaps this is why ancient mystics believed tourmaline could encourage artistic intuition: it has the palette to express every mood. Vivid reds, hot pinks, verdant greens and blues abound in this marvelous gem variety. Earth tones as varied as a prairie sunset are readily available. 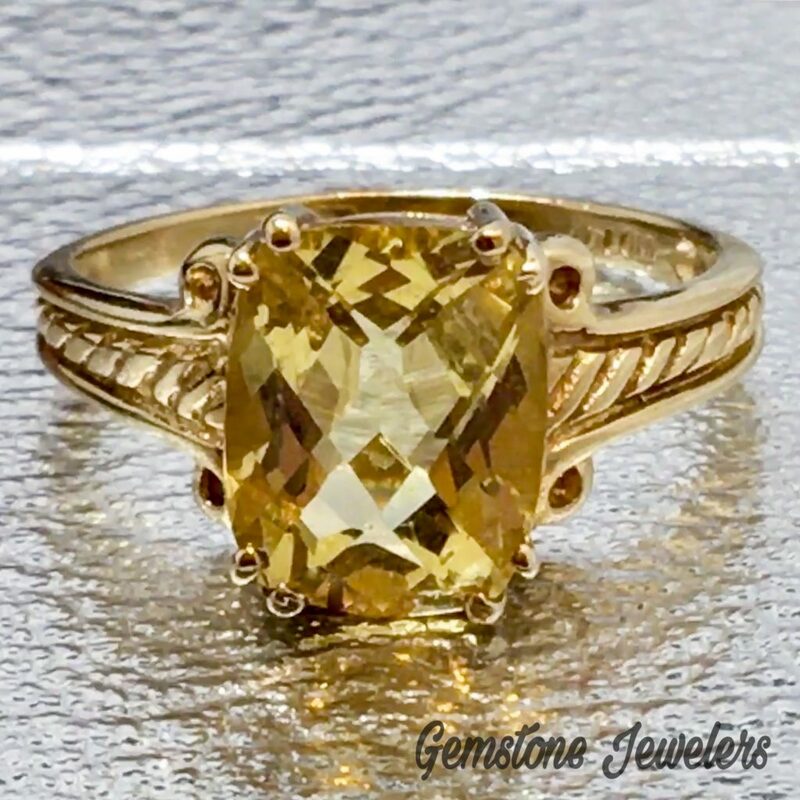 Not only does tourmaline occur in a spectacular range of colors, but it also combines those colors in a single gemstone called “bi-color” or “parti-color” tourmaline. One color combination with a pink center and a green outer rim is called “watermelon” tourmaline, and is cut in thin slices similar to its namesake. 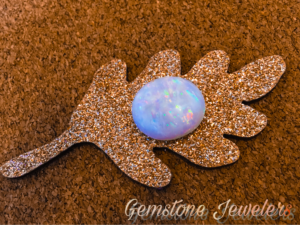 Posted in Birthstone | Comments Off on Opals and Tourmaline for October! The most highly valued blue sapphires are velvety blue to violetish blue, in medium to medium dark tones. 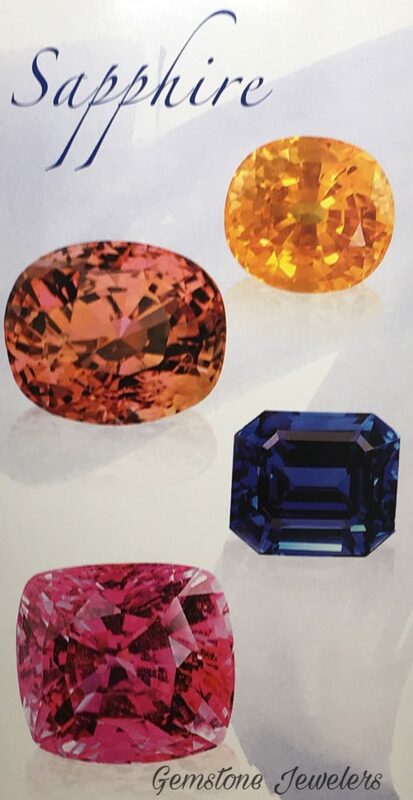 Preferred sapphires also have strong to vivid color saturation. The saturation should be as strong as possible without darkening the color and compromising brightness. Blue sapphires often have some inclusions. Blue sapphires with extremely high clarity are rare, and very valuable. Price can drop if the inclusions threaten the stone’s durability. Kashmir sapphires contain tiny inclusions that impart a desirable velvety appearance. 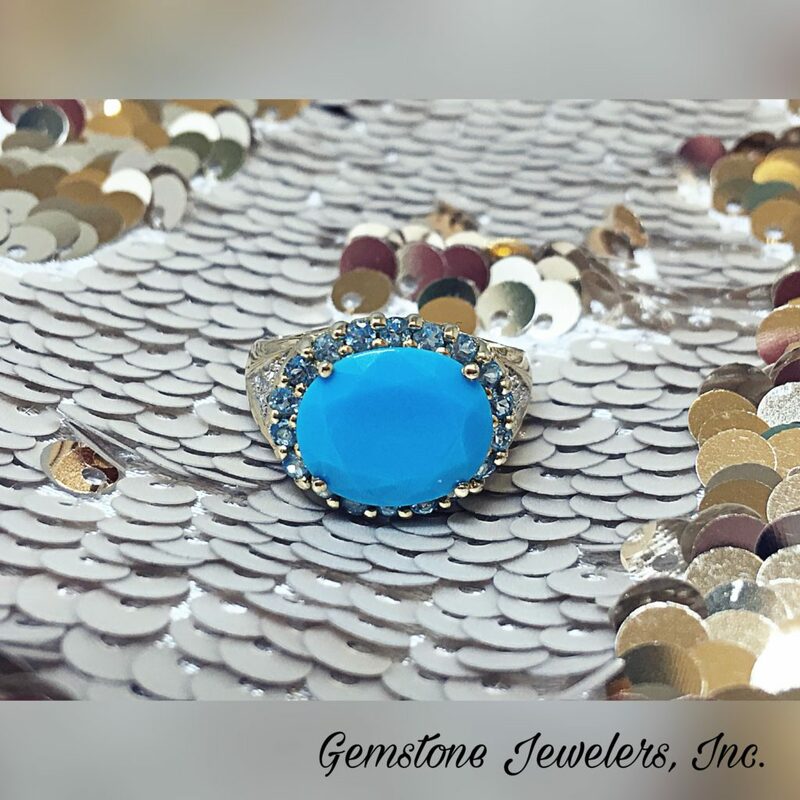 Blue sapphires can range in size anywhere from a few points to hundreds of carats, and large blue sapphires are more readily available than large rubies. 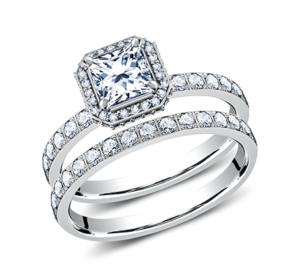 However, most commercial-quality blue sapphires weigh less than 5.00 carats.